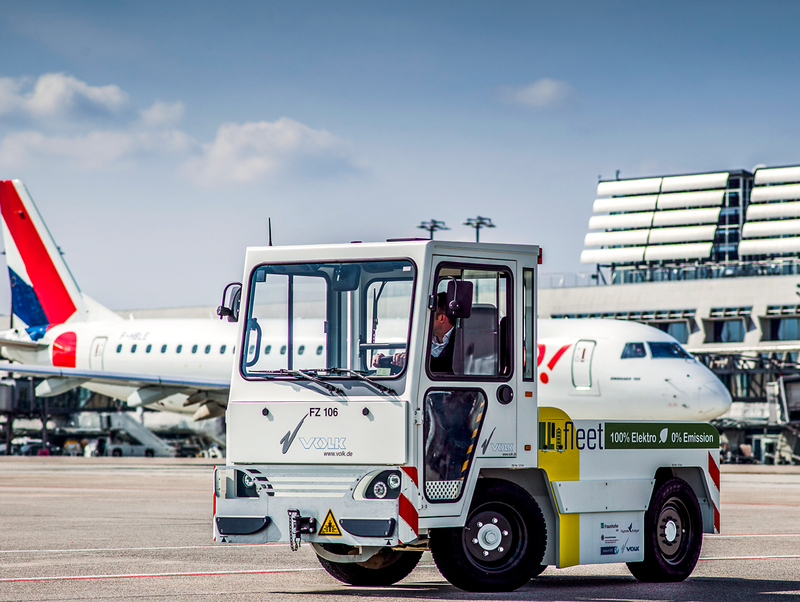 Together with project partners Stuttgart Airport, Stuttgart University (IAT), and Fraunhofer (IAO), VOLK is carrying out a research project on the use of modern lithium-ion batteries in tow tractors operating on airport aprons. The project receives funding from the Baden-Württemberg Ministry of Finance and Economics. Speaking at the project launch, Nils Schmid, Baden-Württember’s Minister of Finance and Economics, explained: “Medium-sized enterprises are vital contributors to wealth creation in our state. By supporting this project, we are helping to prepare them for coming structural changes, including increasing electrification and digitalization. There is a focus in the project on companies involved in special vehicle construction, which are typically medium sized enterprises”. The project aims to draw up a practical, universally applicable guideline for special vehicle manufacturers and operators. It will enable them to accomplish the technological changeover to greener electric drives in general, and modern lithium battery systems in particular. It builds on the previous “efleet” project. 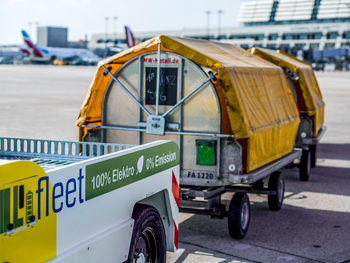 This led to the project partners Stuttgart Airport and VOLK successfully replacing combustion-engine vehicles in baggage and cargo handling with battery-powered vehicles. Previously, the state of the art only allowed for lead/acid batteries to be used in such applications. 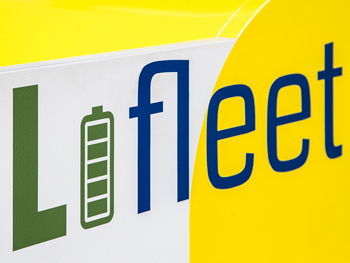 Modern lithium-ion batteries come with a number of advantages, especially in terms of charge times, weight, service life, and maintenance costs. However, they raise a whole series of new, unexplored questions. Particular areas of concern are safety as well as integration into the vehicle architecture. There are many conceivable variants of lithium-ion batteries with different voltage levels and cell chemistry. So far it is entirely unclear which system is most suitable for use in industrial applications. This is a key issue the project will tackle. To ensure industry requirements and expectations are taken into account right from the start, the guideline will be implemented and evaluated in a real-life pilot project. 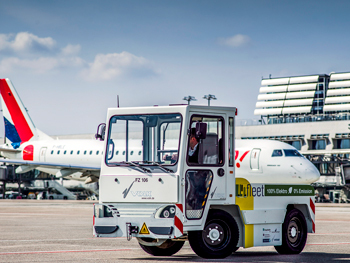 For this purpose, VOLK has developed the EFZ 30 NT Ultra Long Range/Lithium-Ion electric tow tractor. The vehicle features a lithium ion battery with a capacity of 86 V/835 Ah. That makes it ideal for the long distances traveled in baggage handling. A high-performance charger fully charges the battery in around 2.5 hours, so even brief breaks can be used for opportunity charging. The high energy density of the lithium-nickel-manganese-cobalt batteries enabled the developers to achieve extremely compact dimensions despite the high battery capacity. As a result, the vehicle is only 1.4 meters wide and 3.49 meters long. It takes up barely more road space than a Smart car. Another stand-out feature is the low profile that provides easy access to the loading area as well as excellent rear visibility. 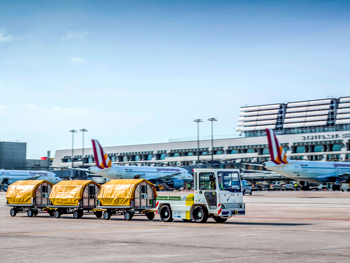 The tractor has been in use in baggage handling at Stuttgart Airport since early 2017. So far, it has passed the test of real-life conditions at Germany’s sixth-largest airport with flying colors.